Maxime Pham Thanh has created a new rotary MIDI controller aptly named the CircleFade which is equipped with 12 fully mappable knobs to help you control your music creation even further. 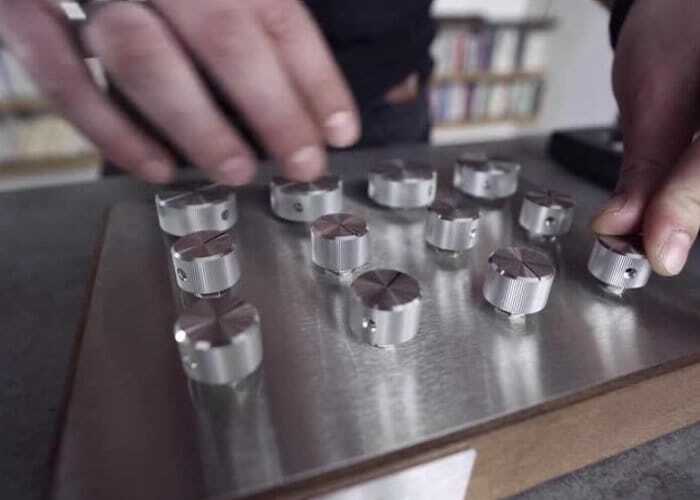 Watch the demonstration video below to learn more about the rotary MIDI controller which is launched via Kickstarter this week to raise the €11,000 required to take the design into production. The rotary MIDI controller has been designed for both studio and stage and offers an easy to use plug and play USB powered device that carries a “vintage vibe” while still offering a super precise way of controlling your music or equipment. The CircleFade is compatible with both Microsoft’s Windows 10 and Apple’s Mac OS operating system and is also supported by a wide variety of music software such as Logic Pro X, Ableton, Traktor, Pro Tools and more. For more information and full specifications jump over to the official Kickstarter campaign page where the CircleFade is now available for early bird backers with pledges starting from €225 or £195. Offering a considerable 30 percent discount off the recommended retail price which will take effect once the Kickstarter campaign has completed. If all goes well shipping to certain countries is expected to take place during July 2018.